The miraculous new novel from New York Times–bestselling author Eleanor Brown, whose debut, The Weird Sisters, was a sensation beloved by critics and readers alike. 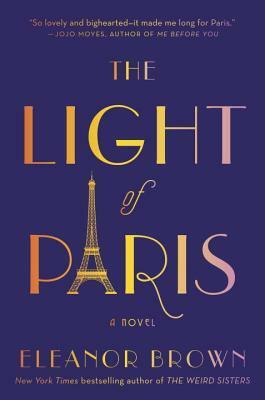 I was so excited to be offered a copy of The Light of Paris by Eleanor Brown. Any story that transports me to that lovely city is one I’m always eager to dive into. Having never been and journeying with these characters as Margie had the experience of a life time makes me long to visit one day! Eleanor Brown truly knows how to catapult her readers into her story and have them feel like they are traveling right alongside her characters. In this story, Madeleine finds herself in a marriage that wasn’t quite what she envisioned for herself. It’s a loveless connection to say the least, but she’s also sacrificed quite a bit to accommodate her family’s expectations. Madeleine has given up the things she loved the most, especially expressing herself through painting. So when she travels to her hometown to visit her mother, she comes across her grandmother’s journals that have her connecting with Margie in a way that awakens her desire to live according to her own terms once again. Margie is a character that took a risk during a time that women had minimal say in how their lives turned out, but a few months in Paris showed her that independence and chasing your dream is more important than any expectation society can place on a girl. I really enjoyed getting to know Margie and Madeleine. There were moments in the beginning of the novel that I longed for stronger characters, but it was quickly made clear that The Light of Paris is a story about self-discovery and growth, which ultimately happened for these two ladies. Seeing their steady transformation as the novel progressed was both rewarding and gratifying. Reading about the cafes, theatres, libraries and people of Paris was absolutely magical. Eleanor Brown did an amazing job of making Margie’s journey come to life. I often felt like I was strolling the streets of Paris right alongside this amazing character. 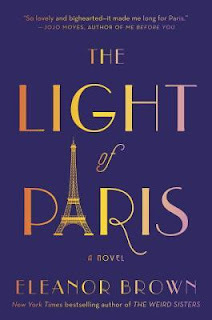 Overall, The Light of Paris is a story that is filled with commendable characters and memorable moments, all alongside a backdrop of the perfect city. What I wouldn’t give for a season in Paris! Lovely!! 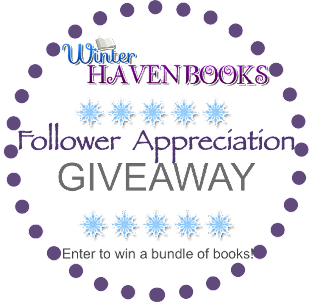 If this sounds like a story you would enjoy, I am giving away a hard bound copy of The Light of Paris by Eleanor Brown to one lucky WinterHaven follower. 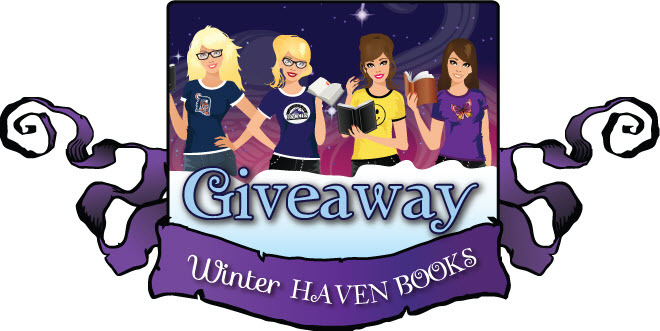 This giveaway is open to US residents only. Please fill out the rafflecopter and share with us what dream city you would like to visit one day. Good luck! After a slight break from reading YA contemporaries (I just wasn't in a mood!) 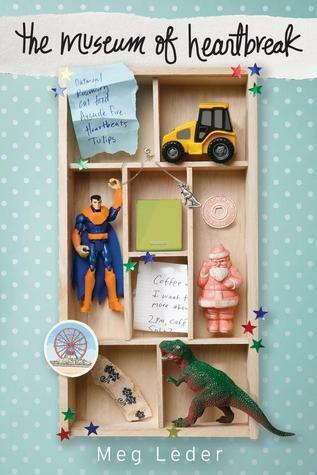 I decided to pick up Meg Leder's upcoming novel The Museum of Heartbreak. My interest for this novel was mostly ignited by its awesome cover, and now that I have read it I am happy to say that the cover actually fits perfectly with the novel because all of the items pictured in it play a role in the story of Penelope (or just Pen), Eph, Audrey and Keats. Pen is 17 (she is 16 at the beginning of the novel but turns 17 during it) and a junior in high school. She lives in New York (THE GREATEST CITY IN THE WORLD.... 10 points if you get the reference), loves Jane Austen and drinking hot chocolate. She has two best friends, Audrey and Eph, and sees no reason for extending her social circle. Then Keats, a handsome new guy shows up and Pen starts majorly crushing on him. Once both Audrey and Eph start to seem busy to hang out, Pen tries to control her anxiety about changes - why do Audrey and Eph feel like something needs to change when she feels like things are just as they should be? All and all Pen is a very likable character and one I was able to identify with. At points she feels very young (she is 16/17 so she is allowed to feel young! ), but she also matures a lot during the novel, so 10 points for character development and growth! I was able to relate with her dislike of change because I am totally the same - I have had the same few friends ever since I was young and I always feel strange in situations when new people are inserted to our hangouts etc. I know I should be more open, but it just fights against my nature in so many ways. Let me just begin by saying that Keats is a total A-hole! 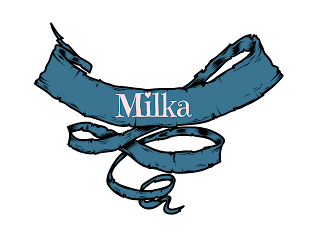 He does not read "lady novels", obsessed over Kerouc and generally acts like an idiot for most of the time. But I do think that he is necessary for the novel because through relations with him Pen learns more about herself and about the people that she has surrounded herself with. Eph, on the other hand, is pretty perfect and totally made my heart flutter. Aubrey is a character I did not get much out from, and there are some decisions that she made I couldn't really agree with! Cherisse is the standard "mean girl", which is a trope I am getting kind of tired of, but I guess she is necessary for the story as well. I just wish there were more novels where girls didn't fight with each other for a boy, because in very rare cases it is worth it. I wished there would have been more glimpses into the family life of Pen because I think her parents, especially her father, seem really interesting! It seems like the older I get the more interested I get about learning something about the parents of YA characters. I also loved the scenes with Pen and her new friends and the process Pen goes through in finding something that she might want to do in the future. Meg Leder writes well and the novel was a quick one to read. The Museum of Heartbreak made me both laugh and cry, and I think that is always a positive sign when it comes to young adult contemporary novels. There were a few things here that bothered me (the mean girl storyline, etc) but all and all I really enjoyed it. Meghan Rogers special cover reveal and giveaway!!!! 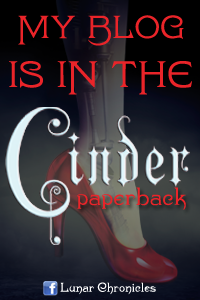 You guys, I am SO beyond excited to share this special cover!! 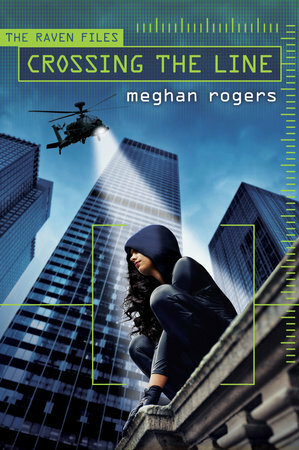 Meghan Rogers completely stole my reading heart with her debut novel Crossing the Line and when she asked if I would reveal the second book in The Raven Files series I just about exploded! I have been dying to see where this story would go and what my number one favorite character Jocelyn would have to do next to keep one step ahead of her old boss!! Well let me tell you this cover and summary has my curiosity piqued and I cannot wait to get my grabby hands on a copy!! Take a look and see just what I am squeeing about and don't forget to scroll to the bottom for an extra special surprise!! Jocelyn Steely may have escaped the clutches of KATO and won the trust of the IDA, but she isn’t out of danger yet. Her cover is blown and KATO agents are after her, but that won’t stop Jocelyn. After all, her goal was never merely to escape KATO. She wants revenge. This high-stakes spy thriller will have readers on the edge of their seats until the final mind-blowing realization. This cover is EVERYTHING! I love that it's all spy like and honestly gives me the chills because I'm wondering who is tracking Jocelyn!! If you haven't read the first book, Crossing the Line, you really need to get on that because this one looks to be EPIC! So remember that special surprise I told you about??? Well the wonderful and truly amazing Ms. Rogers has graciously offered to send one lucky reader an advanced copy of Enemy Exposure!!!!! I am insanely jealous already of whoever wins!!! Meghan Rogers has been telling stories since she could talk and writing creatively since she was first introduced to the concept in third grade. 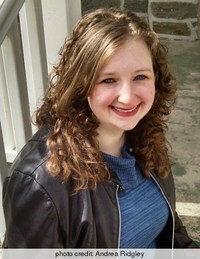 She holds an MFA in Creative Writing from Rosemont College. She lives in Morton, PA.